This subject may not appeal to everyone, but this tree has caught my attention on several occasions. Wouldn't you know, many of the days I had my camera along, the light was wrong. Today, I got lucky with the light. 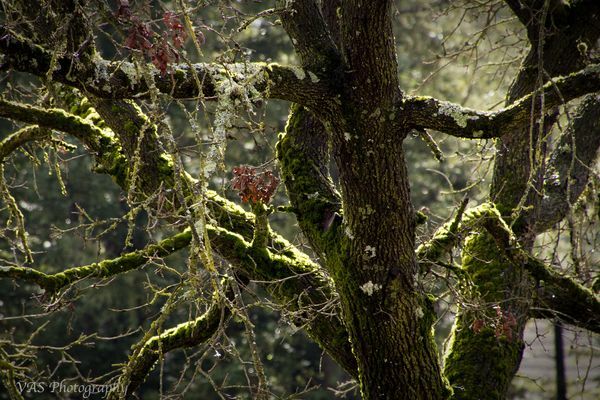 I just liked the way the morning sun lit the moss (and some lichen) so that it outlined the branches with green. To top it off, there were some water droplets from a light rain just prior to when I shot these. In post, I played with white balance, so you will notice a color temperature difference. Advice is always gladly accepted. These are intriguing, Vicki. 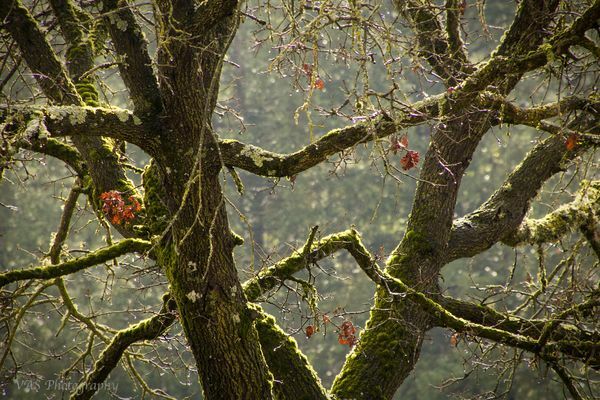 The way the moss catches the light and emphasizes the tree branches is beautiful. That's what appealed to me, too, Carol. It may be our equivalent of snow or ice on the branches. 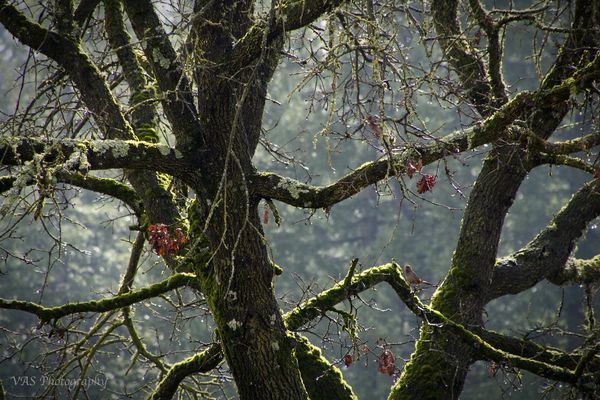 Your photos are beautiful displays of nature's delicate side. Excellent! Nice ones, Vicki. I like them. Yes Vicki, light is everything when taking Photographs. You have caught the light (and shadows) on those trees very well. Vicki, the DDLs are awesome and the only thing that I think woule make it better a vertical photo of it. The light and details are excellent and waiting until you got the light was a fantastic learning tool, for me. Like this set allot Vicki. There is definitely something unique about the way moss behaves with light. Lichen also. I see what you mean, very sharp images, great shot. Vicki, Like the series very much. The various techniques provide a nice variation of the same image.